Free flight for eligible FOCUS participants. Avatar’s FOCUS participants are individuals who elect to participate in either a survey or focus group, by supplying key demographic information about themselves. Avatar will not sell the data, but use it to match up a FOCUS participant with the key demographic criteria prescribed by third party marketing companies. If chosen to participate, upon completion of the survey or focus group session, the participant will earn a voucher for a fully transferable flight coupon good for one year anywhere Avatar flies. This is of course the ultimate in LOW fare. Paying NO FARE at all. Visit our NO FARE page to learn more about this unique profit center that will fly passengers for free while earning Avatar more money than a straight ticket sale. 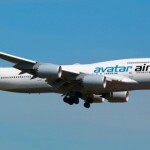 Avatar will make full use of the latest technology in order to bring down the cost of air travel. Exclusive use of online reservations (“straight to the gate”) is a tremendous savings for Avatar, and allows it to pass on a tremendous savings to its passengers. Existing carriers only have one choice: directly compete with each other. They are all vying for a limited segment of the traveling public, many of whom are budget-conscious and have no duty of loyalty to any particular airline. Although Avatar will compete in this market and will take some market share from the existing carriers, Avatar intends to fill a tremendous void in the ultra-low fare market. 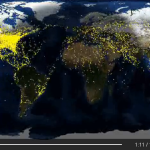 With the advent of the Internet most consumers today shop for the lowest fare available and that’s what they purchase. On the other hand, Avatar believes there is also an entirely unserved market of consumers that simply cannot afford to fly, or cannot afford to fly as frequently as they would like, because the “low-cost” carriers are just not low enough. Avatar is poised to capture the lion’s share of these “would be flyers” and create a brand new market. Now that’s smart! The lure of Avatar’s ultra low cost tickets are sure to sway some car and train commuters to fly instead, since there will be a comparable cost-factor coupled with the convenience and speed of air travel. Existing carriers simply cannot penetrate these markets because of their own pricing structure. Now that’s smart!